Hello! 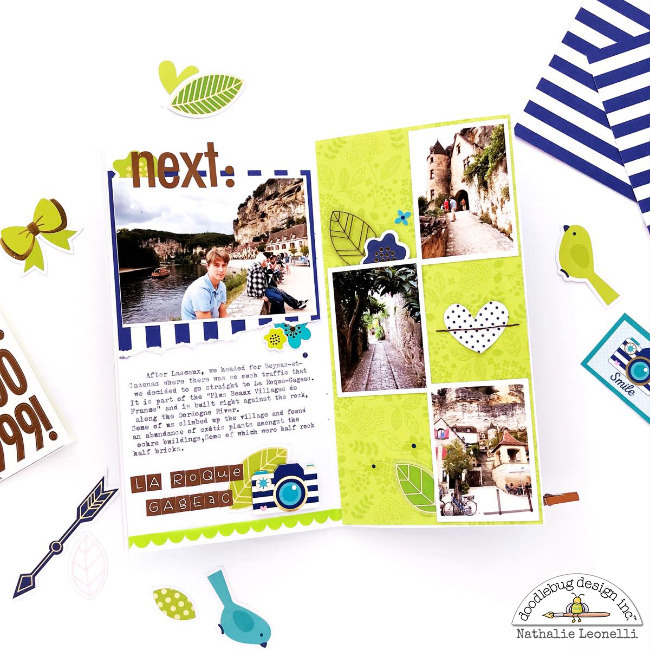 I am here today with a new Traveler's Notebook spread documenting part of my trip to France last Summer. 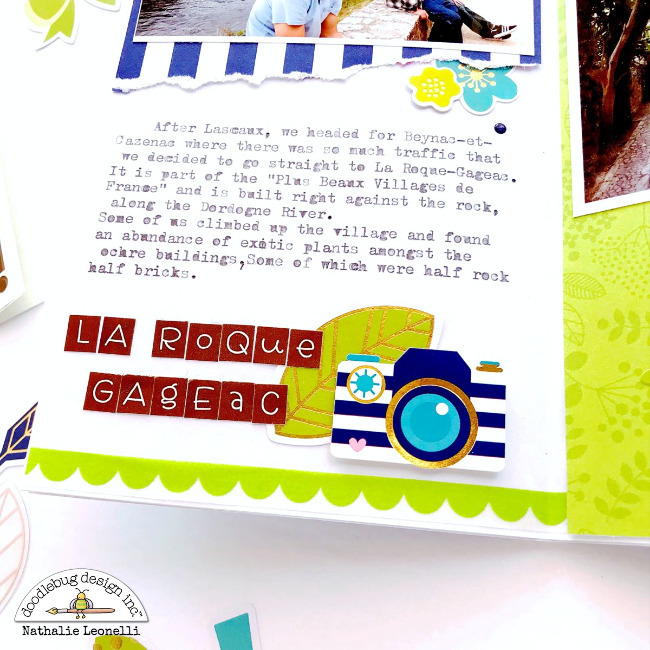 I have found that the Hello collection lends itself well to travel pages. Let me know what you think in the comments. 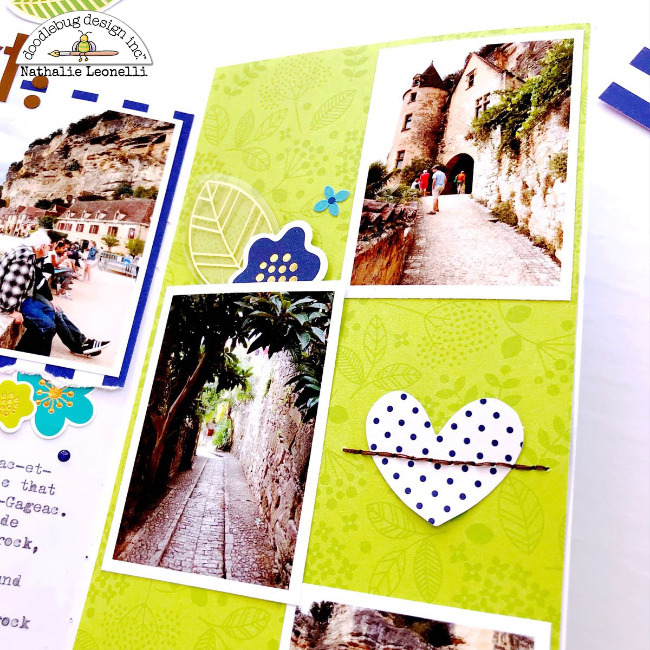 I included four photos which are 4x3 and 2.75x2 inches. I used two patterned papers, the green one on the right is from the 12x12 sheet "Lovely" and the blue striped one is from the 6x6 "Hello" paper pad. The pretty embellishments were selected from the Odds & Ends pack. For the title, I used a combination of alpha stickers: the very top ones are from the Skinny sheet in Bon Bon and the bottom ones are from the Teensy alphas in the same color. I added a camera sticker (on foam dots) from the Icons sticker sheet and a strip of matching scallop washi to "shelve" my title block. I finished with a few little flower stickers and a line of stitching across a heart die-cut to add a touch of brown on that side of the spread, and texture of course. 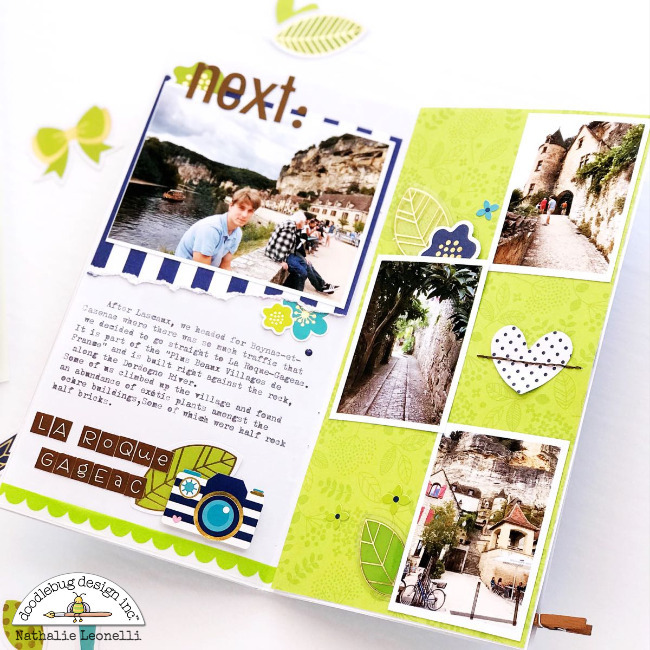 Whether your are documenting your Summer in a Travelers Notebook, in pockets or with layouts, I think you will enjoy the versatility and the fresh colors of the Hello collection! This is beautiful! Must have been a wonderful trip!